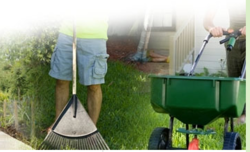 Impresssions Services - Service Provider of landscaping and site maintenance services, electro mechanical services & guest house management services in Gurgaon, Haryana. ?? Impressions? ?offers state of the art Guest House Management Services at affordable prices. 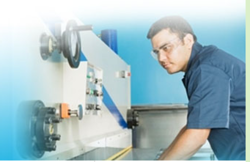 This service is performed by highly schooled and proficient professionals to ensure quality and customers??? satisfaction. The service includes reservation, room management, billing, accounting, and statistics capabilities. Our staff is placed 24 hours a day for daily cleaning, arranging of plates, for errand jobs, thus manages the guest house, making the guest stay comfortable. Read More... At??Impressions? ?our clients come first. Whether it is restoration or maintenance, we ensure that each project exceeds our client?? ?s expectations. We provide our full range of services for residences and commercial businesses, as well as large office buildings and multi-building complexes. Our approach is one of utmost professionalism and care. We provide our clients consultation to help make the proper decisions about their stone and immediate execution with time sensitivities in mind. Our skilled tradesmen, backed by many years of experience and expertise, are available to review your needs and provide estimates. No matter the material, you will find only the most qualified and meticulous tradesmen who provide service and quality craftsmanship. ?? Impressions? 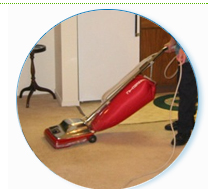 ?offers Housekeeping and Janitorial services that includes cleaning of the customer premises which features cleaning of table tops, window glasses, toilets, lobby and passages of the premises through out the day, vacuuming of carpet, removal and disposal of garbage, cleaning of back entrance, fire exists etc. We provide our trained staff for the client's convenience and helps in setting up entire services for housekeeping purposes. By: Dynamic Eltech Pvt. Ltd.